A national park on the moon? That’s the contents of the bill introduced by Rep. Donna Edwards (D-MD) and Rep. Eddie Bernice Johnson (D-TX): to create the Apollo Lunar Landing Sites National Historic Park, comprising “all artifacts left on the surface of the moon from the Apollo 11 through 17 missions.” The bill expressly allows for private fundraising; it would allow the two agencies in charge of the park, the Interior Department and the National Aeronautics and Space Administration, to accept donations, according to The Hill, from both private corporations and foreign governments to help pay for the management of the Apollo landing sites and to provide visitor services. Rep. Johnson is from Houston, where the Lyndon B. Johnson Space Center is located. She is a co-sponsor of a bill boosting the NASA budget, which this year, if approved, would include funding toward a manned mission to Mars. The Obama administration’s budget includes $100 million in the NASA budget to lasso an asteroid and drag it next to the moon for a walkabout by astronauts. 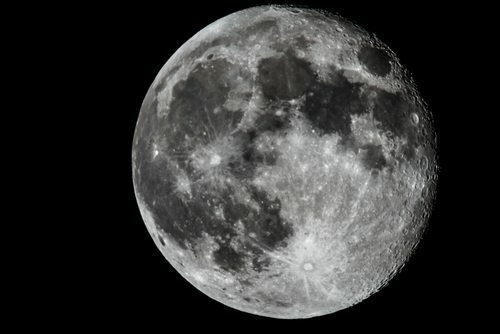 Democrats seem to be open to visiting and colonizing the moon, though given Republican presidential candidate Newt Gingrich’s campaign notion to establish an official colony on the moon, the Johnson/Edwards proposal appears part of an area of bipartisan agreement that seems to elude Congress and the White House on most other issues. There is a slight problem in the bill. It would appear to contradict the Outer Space Treaty approved by the U.S. and other countries in the 1960s, which stated, “Outer space and celestial bodies are not subject to national appropriation by claim of sovereignty, by means of use or occupation, or by any other means.” Perhaps that’s the point of the bill’s invitation for corporate and foreign government contributions: to internationalize an American national park.